A powerful seminar presentation which includes the training, tools and strategy to help both male and female advisors attract more women to their practice. 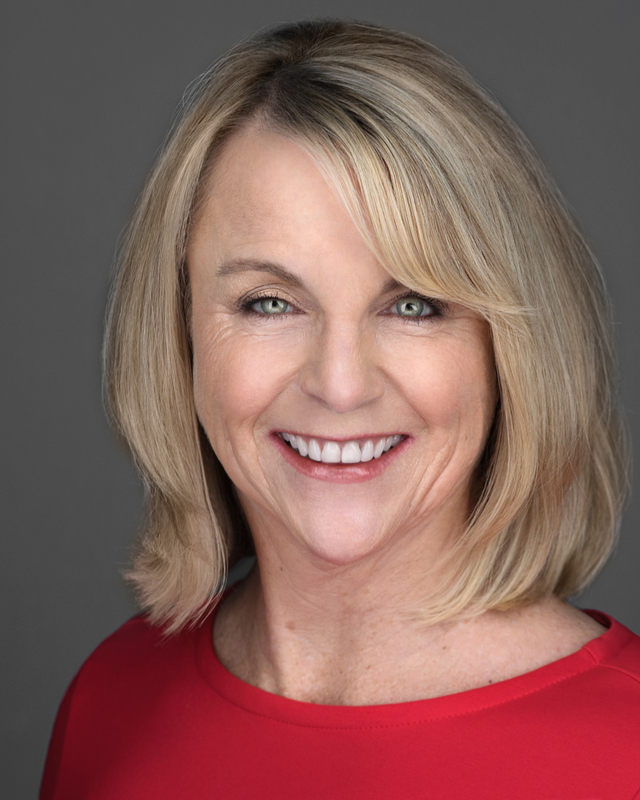 Advisors use the Savvy Women Seminar to strengthen client relationships, attract more women and inspire 3x more referrals with this fun and engaging presentation. The key to attracting more female clients is to understand what women want, what they need, and how to become an Advisor they can trust; the Savvy Women Invest on Purpose© presentation was designed to help you do just that. What is the Savvy Women Seminar? 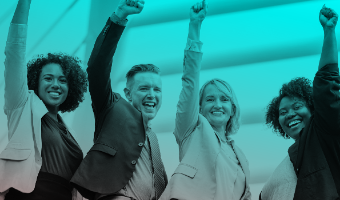 A complete seminar program that provides you with a highly engaging presentation that women LOVE as well as scripts, invitations, worksheets, audio classes, and Adri’s insider tips, tools and marketing strategy to make your seminar program a success. The Savvy Women seminar was designed to make marketing to women easy, fun and highly effective. 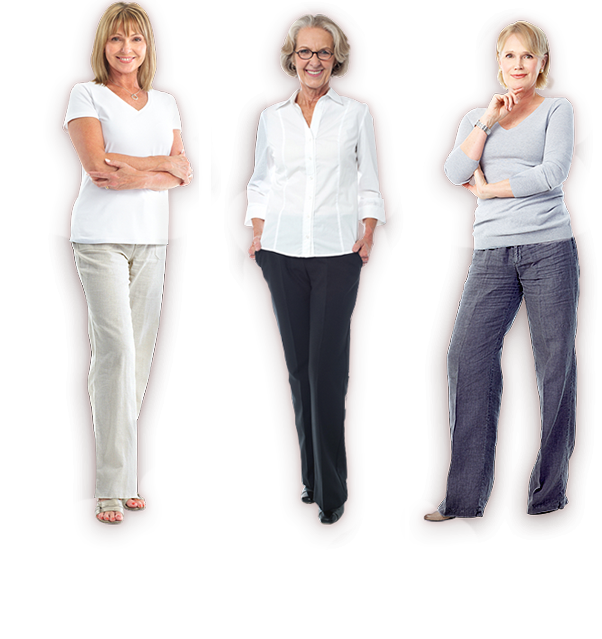 Why the Savvy Women Seminar gets better results? The content is edgy and the presentation style creates a more fun and interactive event. 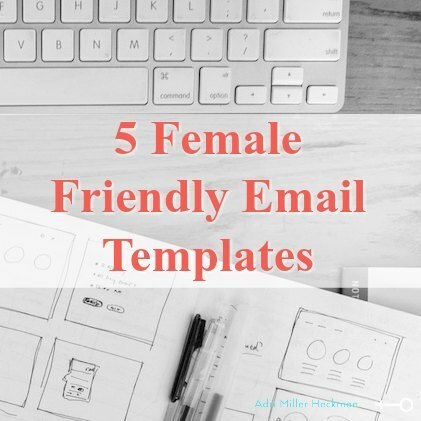 The presentation incorporates a new approach that women love focused on building relationships, inspiring, and motivating women to take action. Contains rich content. Adri eloquently combines her expertise of women and money with her experience as an advisor to create a presentation that is content rich, advisor friendly and a win-win for both presenter and participants. Designed to engage women not tell them what to do. Adri teaches you how to engage the women creating more interaction and conversation among the participants which is when the magic happens. Tell me about the Presentation! To help every woman understand how to use her natural strengths as a woman to accomplish more with her money. Every part of the Savvy Women presentation builds upon the last in order to enhance the Advisors ability to motivate participants to action. The program immediately engages the audience and uses facilitation and exercises to create a greater sense of ownership in the program. 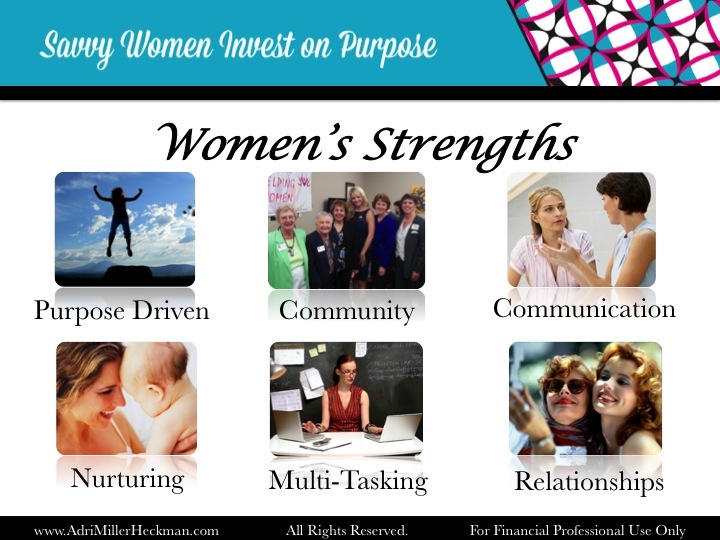 Women are driven by a purpose: This section helps women recognize how they should view their finances focusing more on the purpose they want their money to fulfill. As the presenter you will take the participants through a unique exercise that will help them grasp their true purpose of their money (they often rave about this experience). Women require a process: In this section, the Advisor acknowledges that women are natural multi-taskers and as such require a more defined process to managing their money that makes the experience easier and more manageable. Women value relationships: In this section, the Advisor talks about why relationships are so important to women and validates the importance of building a trusting relationship with their Advisor. Participants are asked to evaluate their relationship with their current Advisor, positioning the presenter as a more appealing alternative. Attracts more Men who appreciate your ability to help their wives, mothers, daughters and friends become more involved in managing their financial life. What Do I Get with the Savvy Women Seminar? For Financial Professionals who are not licensed to sell investment services but focus primarily on insurance and annuity products. For Financial Professionals who focus on total wealth management and want our proprietary process that addresses all aspects of total wealth in a more proactive and purposeful manner making the advisors job, easier and more effective. Facilitation Notes. Adri walks you through the entire presentation, from start to finish, providing the script as well as important suggestions and strategies to make your presentation even more effective. PowerPoint Presentation. The slides are designed to intrigue the audience, enhance the learning process, and help you stay on track. The Tools. Sample scripts, invitations, tracking forms and more ways to enhance your process and improve your results. Seminars for the Financial Advisor. Filled with real-life, insider tips to creating a truly effective seminar program. Seminar Success Interviews. Read three advisors who successfully implemented a successful seminar program. Learn from their experience and their real-life stories. Adri’s Proprietary Thematic Wealth Program. 6 audio sessions and workbook detail Adri’s proprietary process, giving you a model to design your own proactive wealth process for your business. You Can Purchase the Savvy Women’s Seminar Today for $1,775! Will this get through Compliance? This program has been approved by most firms across the country as the content is more about women than money but we have made the process easy. By clicking the button below you can download the PowerPoint and submit to compliance for just a $250 deposit. This gives you 30-days to review the material and get approval from your compliance dept. If the compliance department rejects the presentation, you get a full refund. 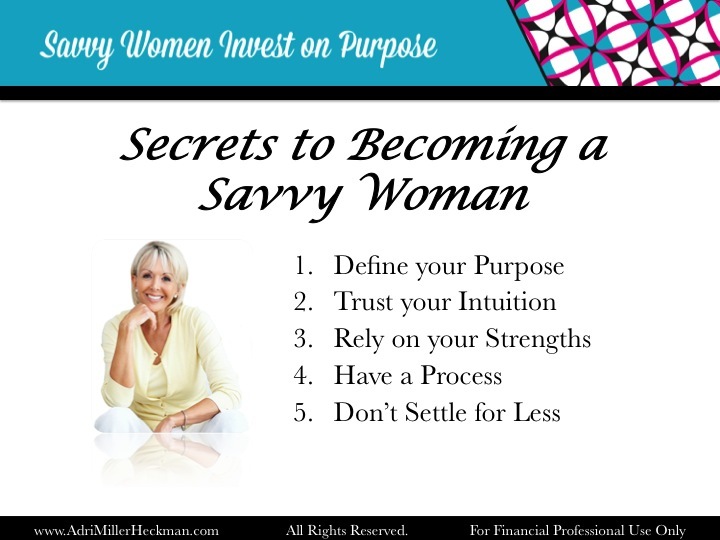 As a good faith deposit toward the licensing of Adri Miller-Heckman’s Savvy Women Invest On Purpose© Seminar program (“The Program”), you agree to pay a deposit of $250.00 to receive materials relating to “The Program” for compliance, legal, or business review purposes. If after conducting a business review, you decide not to purchase “The Program,” then $100.00 of the above full deposit will be non-refundable to help cover costs incurred in this process. All confidential information contained in the materials relating to “The Program” and all intellectual property rights therein remain the property of Adri Miller-Heckman and no license or other right to such confidential information is granted or implied hereby. The Savvy Women Seminar © program is the most comprehensive and effective program available to help you master the seminar process and capture the female market.